Try this tip to relieve ear pain, naturally! All three of my children had chronic ear infections as babies and toddlers. In fact, two of them had T-Tubes placed, one at 3 yrs and one at 15 months. I cannot tell you the amount of agony that they went through having ear infection after ear infection. It is so very painful and the fluid alone is enough to make you cranky. 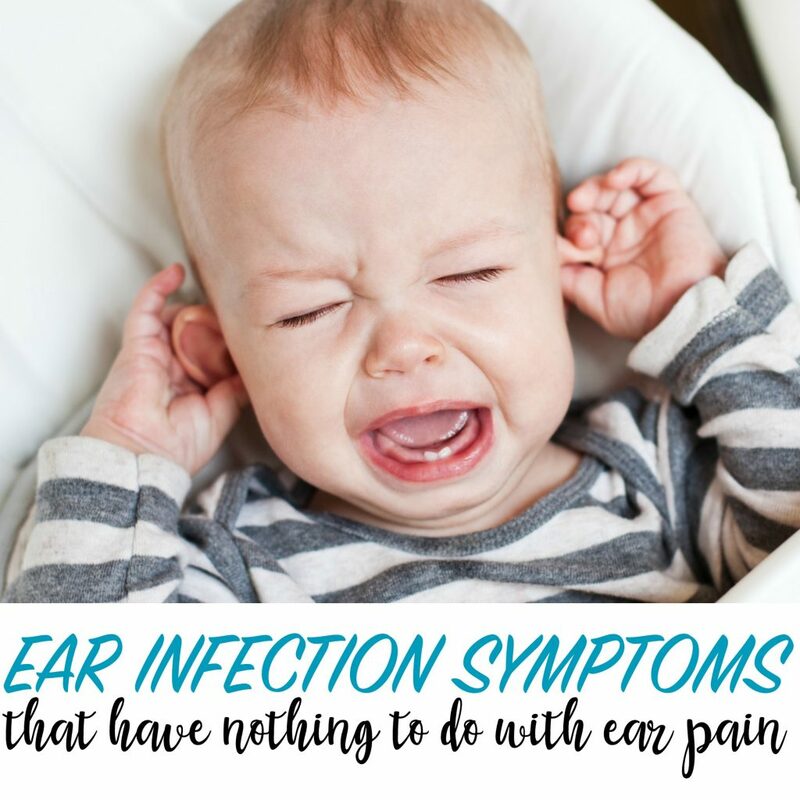 When I was a child, I also frequently had ear infections and there was one thing that my mother would do to help relieve the pain, which I of course do with my children. Although they have been put on antibiotics numerous times, this trick does not involve any medications. This simple, natural trick is one that week keep on hand for all sorts of ailments. We most often use it for ear pain but it is great for all sorts of aches and pains on little bodies. In fact, my littlest just recently woke up with a bad kink in her neck so I pulled this out for her. This natural trick that I’m talking about is a rice sock! It is the simplest way to make a heating pad, and small enough to use on a child’s body. Like I mentioned above, we most often use the rice sock for ear pain but it can be used for any number of aches and pains that would require heat. To Make: Fill the tube sock with rice. Tie a knot at the base of the sock and fold over the top. Simple, right?! Put the sock in the microwave for few seconds to heat. I recommend doing small increments until the sock is warm but not too hot. Be careful and test the heat on yourself before handing it to your child. * We do not have a microwave so I use the oven to heat ours. I turn the oven on low (about 200*F) and place the sock inside for 5-10 minutes. Not sure if you should head to the doctor? Take a look at these ear infection symptoms that have nothing to do with ear pain. Hi Rachael, I agree that this method works. My Mom used it throughout my childhood and I never needed to take antibiotics for ear infections. That said, a friend recommended a different method that worked for me even better later on -- cutting an onion in half, heating it up, wrapping it in a towel or paper towel and also holding to a hurting ear. Before you give it to your child, DO try it on your ear so no burns occur. I usually hold it next to my children's ears with one of my fingers being in between their ear and the onion that way it doesn't touch their earlobe. I find this works even BETTER due to the steam coming out of the onion. I can attest first hand it works as I learned this trick on camping trip. I did a perfect straight jump into a river and came up with bloody nose and my ears ringing and hurting. I held each half of an onion to each of my ears for about 3 hours on and off (went through 2 onions :) ), and all the pain and the ringing went away (as I was able to draw out the water out of my inner ear). Hope it helps. My kids (6 yo and 4yo) now ask for "that onion thing" when their ears start hurting. Oh great tip!! I'll have to give it a try. so happy our little trick helped!! 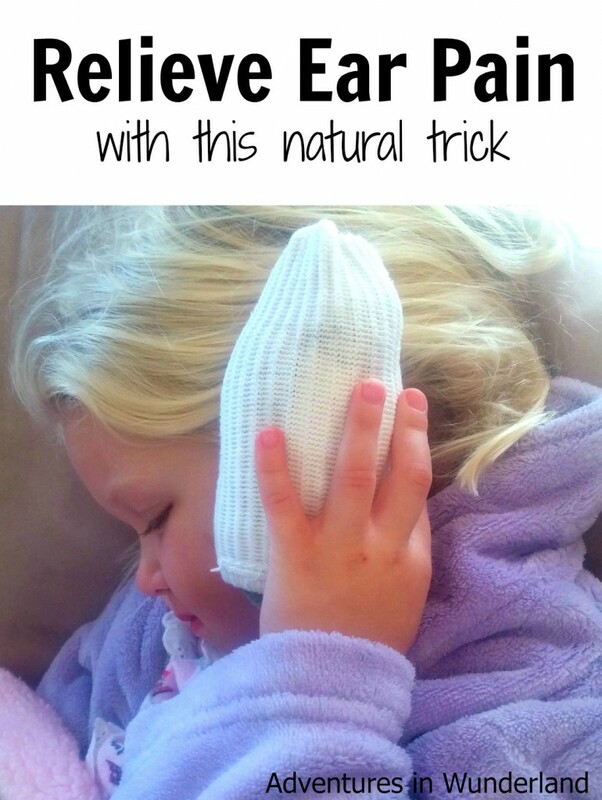 I am going to try this, My daughter had ear tubes about 3 years ago and sometimes she gets ear ache. I will get my essential oils and have everything handy just in case. How yous kids with the tubes have made out, do they often get ear ache or ear infection? Thank you so much, my brother and I went through the end of the world war 2 and were small so my mother did the same as you, but rice was not available so she took a gin crock, its like a earthenware bottle, filled it with boiled water, screwed the cork thing back in and put a sock around bottle! It was like magic, the relief! To this day I used it on my children and now on my grandchildren with the same results! No antibiotic is that good in an instant! When my (adult) daughter had her tonsils out last fall, she experienced a lot of radiating ear pain. We had a neck cushion filled with rice that could pop into the microwave and be warmed up. She held it up to her ears and it did help quite a bit. This is a great tip!